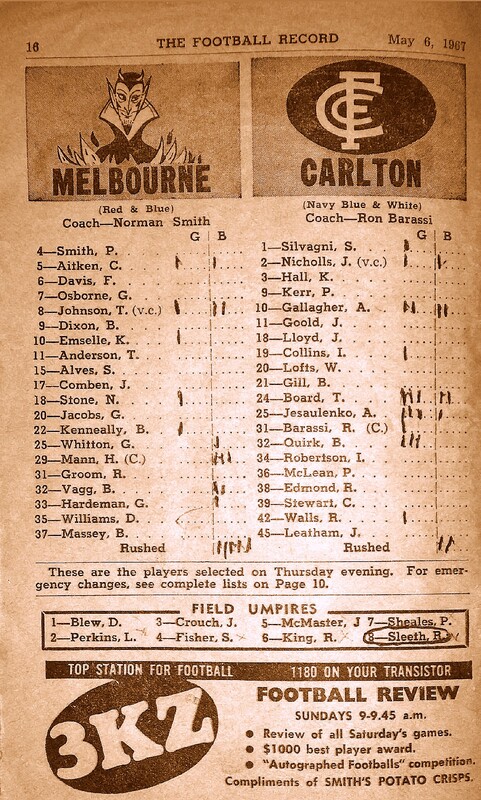 This is a post that was published in The Blueseum – a site devoted to the history and cultural identity of the Carlton Football Club. For my overseas readers, “footy”refers to Aussie Rules (or AFL) football, a game that started out in the 19th Century as tribal, suburban-based competitions in the Southern states of Australia, and has been known to ignite the passions of otherwise rational beings. I will do a follow-up post for you with a glossary of fairdinkum footy terms and what they mean. Everyone has his or her era. I don’t mean their fantasy era, which for me, and lots of my friends, would be the sixties. We all like to think that the sixties R us. You know: hippies, yippies, revolution, Vietnam, etc., etc. But for my age group, it was really the seventies. I turned 17 in March 1970. I did my HSC (as VCE was then called) in 1970. I went to Uni all through the seventies (1971 through 1981 actually). I started dating Helene in 1971 (yep this is our 40th year together). Most of my favourite music is from the seventies – Dylan at his best, Springsteen, Leonard Cohen, The Clash, yes and even Skyhooks (he ducks for cover). And then there was the politics. I remember the “It’s Time” campaign, cheering for Gough, cheering with my mates that we avoided the draft … legally, protesting in the City Square when Fraser blocked supply in 1975, stumping up again the following week when Kerr sacked Gough, and crying when he was defeated in the subsequent election. Yes it was my era, our era. I could talk to you for hours, days even, about the seventies, but really, what defined it for me in my teens and early twenties, was …….. the Footy!! And not just any footy, but Carlton footy. And now, when I think about it again, and am finally putting pen to paper about it (after threatening to do so for many years), it is bittersweet. I’m left both flushed with nostalgia and pride for that sweetest of times for our football club and at the same time with a feeling of hollowness and regret and thoughts of what might have been. It is now more than thirty years in the past so some of this is probably forgotten, but we had a team of absolute champions the likes of whom had probably never been brought together before, and, in this new age of salary caps, drafts (the footballing variety), and national expansion, most certainly never will again. 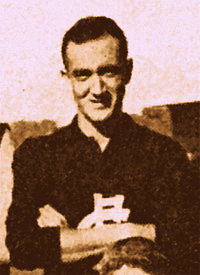 Consider the following players from that decade: Sergio Silvagni, John Nicholls, Mike Fitzpatrick, Syd Jackson, Garry Crane, Trevor Keogh, Adrian Gallagher, Bruce Doull, Barry Armstrong, Rod Ashman, Greg Kennedy, Geoff Southby, Rod Austin, Craig Davis, Alex Jesaulenko, Percy Jones, Vin Waite, Ian Robertson, Mark Maclure, Robert Walls, and David McKay. These are only the champions I remember off the top of my head. And I’m leaving out Sheldon, Buckley, Johnston, Marcou, McConville, and Harmes because they came at the end of the decade. No, we had the champions. And they could do anything. Nicholls was probably the best ruckman in the history of the game – certainly the best I’ve seen. Five B&Fs speaks for itself as well as a triple premiership captain. Fitzpatrick was a triple premiership player, captaining the club in two of them, and as fine a pressure player as you’ll find. Jezza was a 100-goal full forward, came third in the Brownlow as a half forward, then again as a centreman, then again as a half back. McKay was the most consistent high mark I’ve ever seen, and although erratic in front of goals, never missed one in a pressure game. Southby won B&Fs in his first two years. Walls was the prototype of the modern centre half forward who kicked 6 goals in a best afield performance in the 1972 grand final, and kicked 10 from full forward in a game against Richmond. Craig Davis was mercurial until he was injured. Curly Austin could stop the best forwards in the game even though he conceded inches. Kennedy kicked 12 from full forward in one game. I could go on and on. And they weren’t just individual stars. On their day they could jell into a fierce and fearsome unit. We flogged Richmond in the 1972 grand final. In a game at Windy Hill in 1975, we kicked 14 goals in the second quarter (and won the fights as well). McKay kicked eight that day. And without going through all the records and reference books, I still remember the feeling every Saturday morning when I woke up and knew I was going to have a great day at the footy. I just knew we’d play well. I knew we’d win. I knew we’d probably win by a lot. I just didn’t know which one of the champs would rise so high above the others that day. Would Wallsy kick a bag? Would Swanny take Mark of the Century? What magic would Jezza weave? And when would our birthright spot in the finals be assured? By round ten, twelve, thirteen? Oh, yes. They were great days……….. EXCEPT………. Between 1973 and 1977, with these great players and this great team, we couldn’t win in the big games. We underachieved. We would kill all opposition during the regular season, and then crash in September. It was so frustrating. I believe that this was a massive underachieving era for our club, where we could easily have won another three premierships – especially in 1975, but also in 1973 and 1976. But we were infected by a malaise for those five years. A malaise that gradually got worse and worse until it almost destroyed the club. The disease was incubated in the first five minutes of the 1973 grand final when Lawrie Fowler shirtfronted Big Nick and left him concussed after taking a mark. He still groggily went back and kicked the goal, and we, sitting there in the old Olympic stand, we all thought that this was going to be a repeat of the previous year (where Nick had kicked six goals and destroyed the Richmond defence while Percy Jones dominated the ruck). But it wasn’t to be. Not only was Big John no longer a presence on the ground, but as a coach, he was not really aware enough or present enough to control the game tactically. The virus then spread as in turn (although I don’t remember the exact order), Walls, Waite, and Catoggio, were roughly (and illegally) shepherded, biffed, or bumped. And the malaise fully kicked in when Geoff Southby was knocked out by a whack to the head from Neil Balme. That was the end of the penny section – not just for the 1973 grand final, but pretty much for the next five years. I’ve called this malaise Southby-itis. I debated whether to put the name in – it’s not meant to malign Geoff. In fact it really has nothing to do with him. It’s just that the whole club seemed to lose its mojo when he went down, especially with Big Nick out of it. You see, I don’t think we’d ever seen Nick go down like that, like the proverbial sack of spuds. For the best part of sixteen years, he’d been our protector out on the ground. For all y’all young ‘uns, you have no idea. 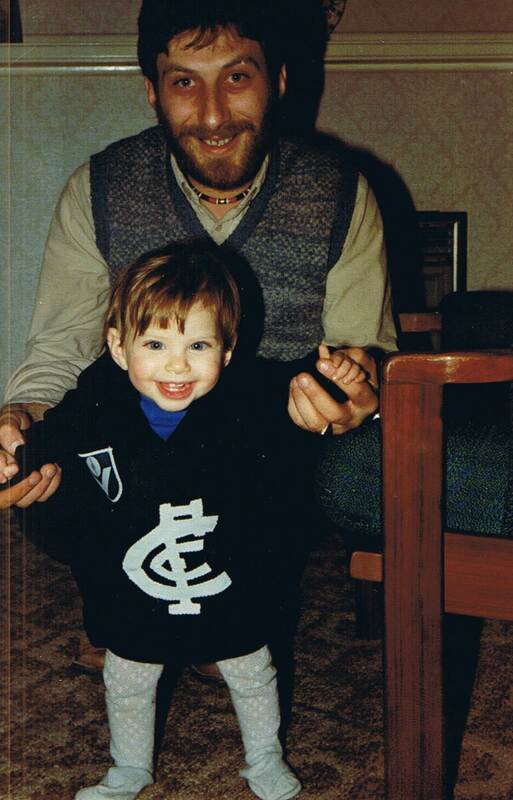 No-one would dare go near a Carlton player when Big John Nicholls was around. And if they did, then you just knew, Big Nick would get them, maybe not right away, maybe not even that quarter. But at some point, after first scaring the bejesus out of them with that look-that-could kill, he would catch up with them, and then God help them. Well, he was out of it, and being out of it, the rest of the team became fair game. And although a couple of them stood up and fought back, once Southby went down, we were gone. Now, that was the end of the 1973 season, but one of the side effects of Southby-itis was that other teams started thinking that they knew how to beat Carlton – rough ‘em up. And they were right! I don’t want to say that we became soft – we didn’t really. I prefer to say that we lost our mojo. So, we had a shocker in 1974, but returned to our absolute best for 1975 and 1976. They were really golden years. But the other top teams of the time – most notably North Melbourne and Hawthorn – didn’t seem too concerned how well we played during the season. Barassi and Kennedy were too smart for that. They knew that finals were a whole new ball game. But we, having lost our mojo, didn’t know – or at least, we’d forgotten. Because it was only a few short years since we’d won three flags in five years – 1968, 1970, and 1972. So we’d finish first or second on the ladder, and then get bundled out in straight sets. We just couldn’t – or didn’t – handle the pressure of finals. And it really was like we’d forgotten something, because most of these guys had played in premierships – McKay, Doull, Jezza, Walls, Southby, Jones, Keogh. 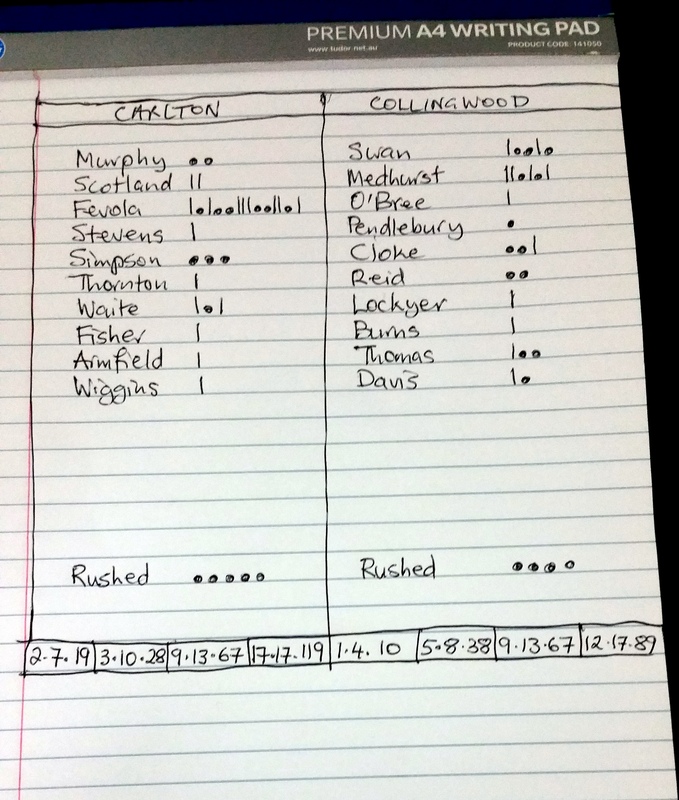 But the beautiful system with which Carlton played throughout the year, the fast-running, smooth-flowing precision-passing game that looked so good and won so many matches, just crumbled under finals pressure. After the 1977 season, Ian Thorogood was replaced as coach by Ian Stewart, and after a very short and controversial stint, he also was gone. For us young supporters, it was a terrible time. Here we were with the best players in the game, but no success for five years, no coach, our last year’s captain (and my favourite player) gone to Fitzroy – in short: a rabble! It was depressing. It felt like we were St. Kilda or something. It wasn’t a Carlton feeling. And then…… as if it was a last resort, which it probably was, a coach appeared in our own backyard – JEZZA!!!. I’ll never forget that first game under Jezza as coach. It was at Victoria Park against the old enemy. We were definitely the underdogs having lost five games out of the first six. Well, we fought hard, we struggled, we crawled, we scrapped….. and we won!!! And all of a sudden, the malaise was over. From that point on, we won another twelve games, made it to the finals and even won a final before bowing out. But it was clear that the malaise was over, the disease was cured. And Jezza, who was such a brilliant pure ball player, turned out to be a strict disciplinarian, who hardened the team up, and gave us back our mojo. We rocked in 1979 and won the first of our three premierships in four years. And what Jezza had begun and David Parkin completed, was our transformation from a flashy team which could be put off its game by a bit of physical pressure to a hard and tough unit that thrived under pressure and hardly ever lost a tight game. 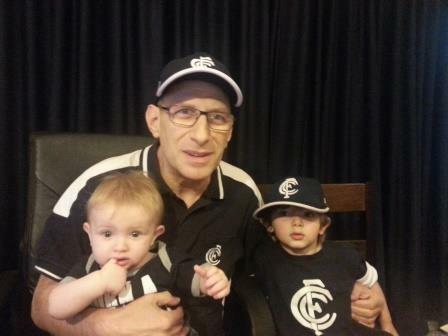 I have been privileged to witness eight Carlton premierships in my lifetime so far, and every single one has a ton of meaning for me. 1968 was my first and broke a 21 year drought; 1970 was – well it was 1970, the greatest grand final of them all; 1972 was just a brilliant win by a team of champions at the height of their ability (and a record high grand final score; 1981-82 were great fighting victories by a bunch of players who had grown up together at Carlton; 1987 was the return of Wallsy and the great South Aussies and Rhys beating Dermie; and 1995 was the culmination of a streak by an unstoppable machine. But 1979 holds special significance for me. It was important!!! It showed the football world that the Southby-itis period was over! We could no longer be pushed around! And, it was the end of the seventies, the end of my youth. I was married, I was about to complete my doctorate, I was about to become a father for the first time. The wild days were over, and a new era was beginning. The era of my children, the era of my working life, and the era of Harmesy, and Johnno, and Sheldon, and Buckley, and premiership quarters, and Parko, and talls and smalls and corridors and …….. the eighties!!!! But that’s a whole other story…….